Metro is conducting an in-depth, comprehensive analysis of the MetroBus system in Missouri. 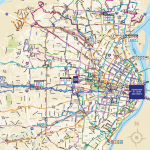 This study will help public transit evolve to meet the changing transportation needs of the St. Louis region, and it has the potential to completely transform how Metro transit serves the community. Learn more. 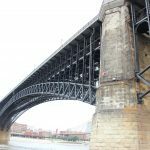 Completed in 1874, the Eads Bridge was the first steel structure bridge project in the United States. After almost 150 years of use, the bridge required a complete rehabilitation of its truss and superstructure. Learn more. The Civic Center Transit Center at 14th and Clark Avenue in downtown St. Louis is one of Metro’s busiest transit hubs. 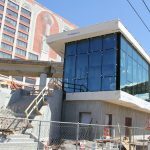 This expansion project will allow Metro to better serve the passengers safely and more efficiently, while also providing riders with new amenities. Learn more. 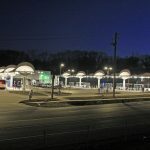 Opened in March 2016, the North County Transit Center in Ferguson, Missouri is a key transit hub for North St. Louis County, one of Metro’s fastest growing transit markets. Learn more.